CHAO primarily aims to provide an efficient and quality service to customers. Our business concept covers a wide range of coffins with different designs, measurements and finishes, adapted to market needs and with a distribution and logistics system in place that makes the day to day easier in funeral homes. Satisfying the needs and expectations of our customers is the fundamental basis of our business, in addition to strict compliance with current legislation and upholding the image of a leading company with vast experience. At CHAO we want to retain and boost the constant leading position in the sector, both in terms of market share as well as the quality and innovation of our products and services. We also want to branch out into the international market with our business, offering efficient distribution throughout the Spanish peninsular, as well as in any other part of the world, operating effectively and efficiently as the benchmark in the manufacturing of coffins. At CHAO we maximise raw materials to meet the needs and preferences of our customers, offering top-quality products at competitive prices. To merge flexibility with efficiency in production with fast turnaround times to customers in under 15 days. To personalise the range of products for each customer by adapting to the needs of their company and the market it caters to. To adapt the end product to new market trends, offering quality and design to our customers. To develop our activity whilst being socially and environmentally responsible. To create an intelligent industry model in tune with our customers. 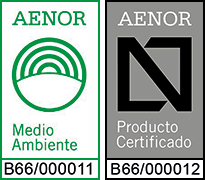 CHAO is the first coffin manufacturer to certify its ecological products with the AENOR N Mark and AENOR Environment. Our eco-friendly coffins fully comply with standard UNE: 190001:2013. These coffins are environmentally friendly in their entire service life, with combustible, degradable and biodegradable properties. When a certified eco-friendly coffin from our "Cremation" or "Classic" range is incinerated, the emission of pollutant gases into the atmosphere is reduced by up to 80%. These coffins are also ideal for burial, as their characteristics and components facilitate decomposition with almost undetectable levels of contamination in the soil and water surrounding them. This is because they are made from raw materials that come from natural sources and without any synthetic treatments. All our products are manufactured in Spain and 100% of our raw materials come from Spanish companies. We see this as a positive merit and something to value considering that few companies in our particular sector are able to offer their customers this guarantee of quality and commitment. This aspect, as well as other measures put in place, enable us to respond quickly to urgent orders and guarantee an effective delivery to our customers. 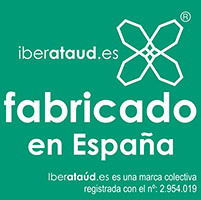 We are founding members of the Spanish Association of Coffin Manufacturers (AFAE) and all our products bear the IBERATAUD.ES - Spanish Coffins mark. 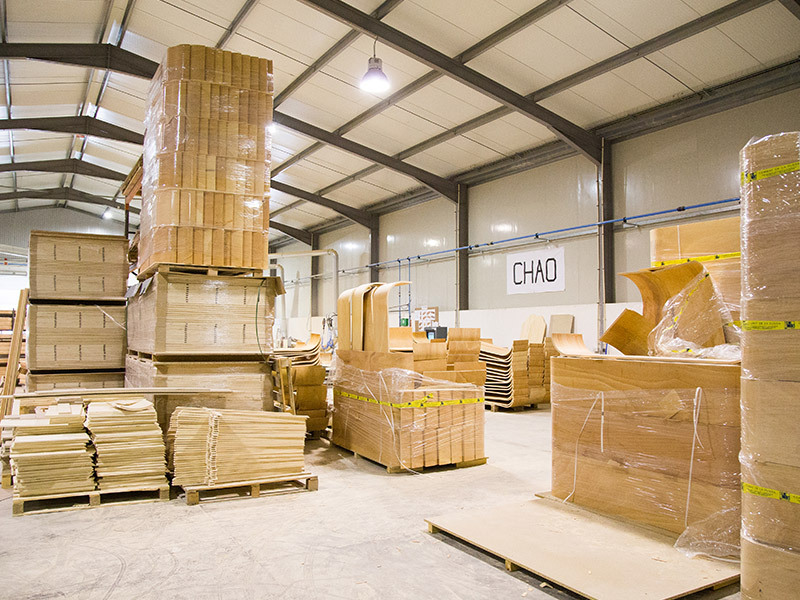 The team at CHAO is made up of professionals from the funeral sector committed to improving our daily production to be able to offer the best products, service and assistance to our customers, adapting to their requirements and needs and with an individualised approach to each order. 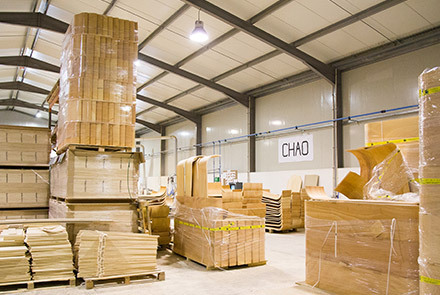 This ongoing training and innovation policy has helped CHAO spearhead the manufacturing of coffins in Spain, operating as a benchmark in the sector since 1910. Depending on their cultures and traditions, different places require different designs and characteristics of coffins; this is why our business covers the end-to-end process of designing, manufacturing and distributing in line with the needs of every funeral home. Our wide range of products meets the requirements of the most demanding customers and, in the event that this is not possible, our manufacturing team can adapt to special cases. Get in touch with our sales department and let us know your needs. Our company is the first coffin manufacturer to certify production by means of a quality management system according to Standard UNE-EN-ISO 9001:2008. This certification, audited by the Spanish Standards and Certification Association (AENOR), helps improve our production and customer care. Pioneers in using the most cutting-edge technology, our company has always been the benchmark in harnessing the developments and changes that have improved the manufacturing of coffins. Through innovation CHAO fosters an approach to continuous improvement in the manufacturing of coffins. This innovation is paired with the varied and ongoing training of our staff, allowing them to develop their skills and abilities by exporting them to their area for professional development. The commitment made by our entire team to improve the company is unlimited: service 24 hours a day, 365 days a year. Our staff work responsibly and with a clear commitment towards our customers, fostering a relationship based on trust.